Paying €500 million for the 16.5km N6 Galway outer bypass, which works out at €30 million a kilometre, is an "obscenity", particularly when the road will do little to solve traffic congestion in the city, and when there are "cheaper, cleaner, and more sustainable solutions". This is the view of Independent city councillor Catherine Connolly, who is calling for a "change of direction" in transport management, and for City Hall to begin actively considering light rail. Cllr Connolly was speaking following a well attended public meeting on the N6 Galway City Transport Project, which took place in the Clayton Hotel recently. This meeting follows similar events in the Westwood Hotel and in Barna. According to the councillor, there was "unanimous rejection" of the proposed road at each. 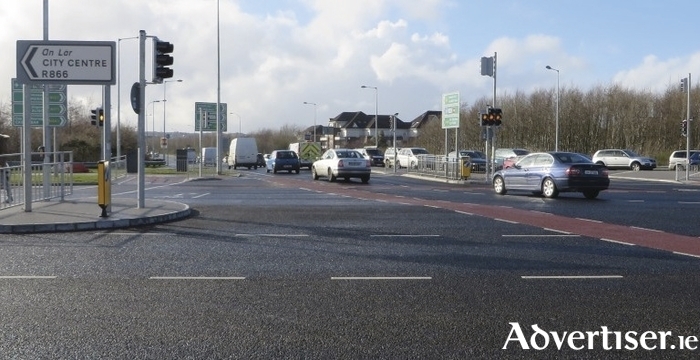 She is also calling on the three groups, who have confirmed they will work together to ensure this project "will not go ahead", to make a submission to the council's Integrated Transport Management Programme for Galway City, and propose alternatives to traffic congestion. The idea of a light rail system for Galway has been proposed throughout the last 10/15 years, and Cllr Connolly is reviving the idea, arguing that an examination of different costings in different cities across Europe of similar population size to Galway, reveals that light rail comes in at less than half that cost of the N6 bypass for a similar distance. "There is a golden opportunity for Galway to get it right and show the way in providing sustainable transport including light rail, which would be of huge economic benefit to the city," said Cllr Connolly. "It is past time city council management and the appointed engineering company Arup to examine these success stories." She also argues that City Hall continuing to focus on the provision of more roads prevents it from examining more sustainable options which could be implemented "fairly quickly" and/or as part of a three/five year plan. She points out how, despite park and ride facilities being part of the city development plan since 2005, such facilities have failed to materialise; no major sustainable travel plan for the 30 national and secondary schools, four major hospitals, three third level institutions, industrial estates, and business centres within the three mile radius of the city centre; and no progress on the approved pedestrian/cyclist bridge at the Salmon Weir. "Reserved lands on the Western Distributor Road could be opened up to allow for bus lanes," said Cllr Connolly. "The rental bicycle scheme should be extended immediately to Salthill, the GMIT, and Knocknacarra to allow for commuters to use the bikes to work. These are only some of the steps which would immediately alleviate traffic congestion. However none will be taken unless people stand together and insist on a more sustainable transport solution for the city." Page generated in 0.2575 seconds.